We are engaged in offering a wide range of Gypsum Stucco Plasters to our customers. 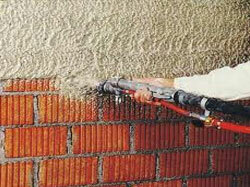 These products are extensively used as gypsum based plaster. Gypsum Stucco Plasters are extensively related to internal backgrounds like concrete, block and brick.